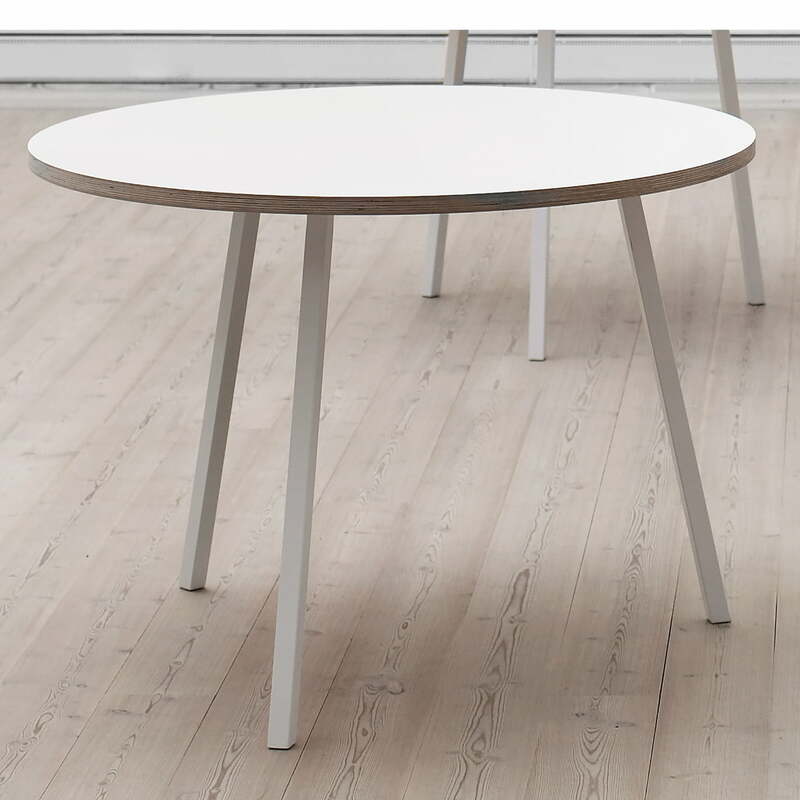 The round Loop Stand table is incredibly straightforward and therefore typically Scandinavian. It is part of the basic furniture series Loop that was created by the Scandinavian designer Leif Jørgensen for Hay. 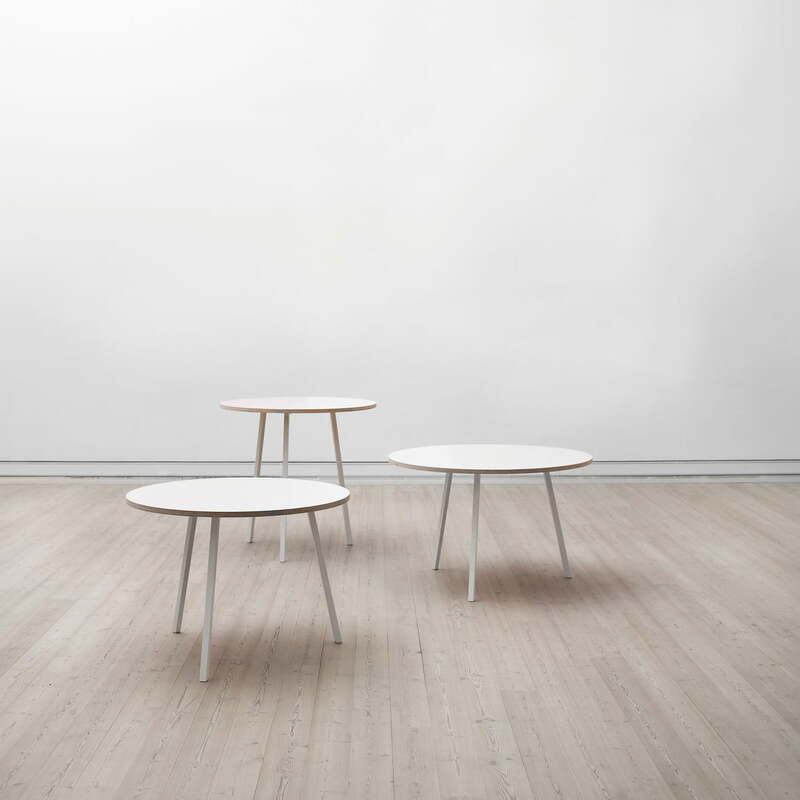 The smooth surface of the round Loop Stand table ends in clear edges. The tabletop (linoleum) and the edges (oak wood) of the black edition are lacquered with just one colour, creating an elegant and chic three-legged table. The white variant’s edges and table top were kept in their natural wood colour (plywood), offering Loop the classic Scandinavian holiday house look. The legs are made out of steel. Loop was designed by Leif Jørgensen. The Danish architect and designer proved his secure sense of space which enabled him to furnish all Diesel Brand stores in Scandinavia. Leif Jørgensen and his Loop series fit perfectly into Hay's exclusive collection with their timeless beauty and their clear Scandinavian design. 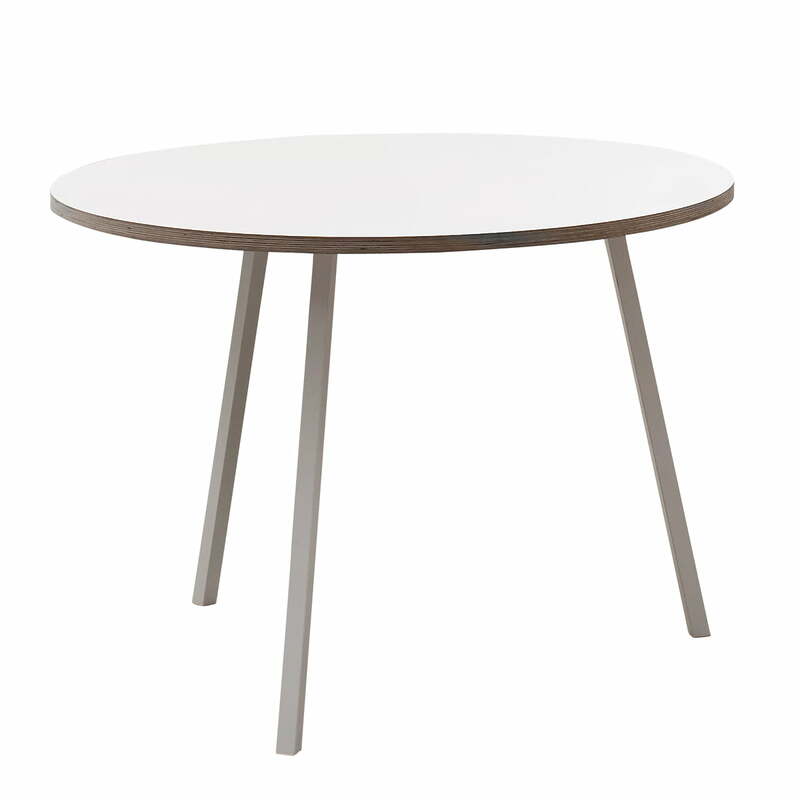 The round Loop Stand Table is also available in other versions.